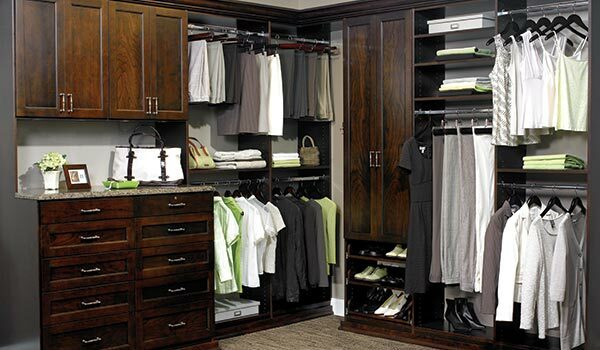 Contact Closet Works with your closet organization ideas and a custom walk-in closet this beautiful can be yours. 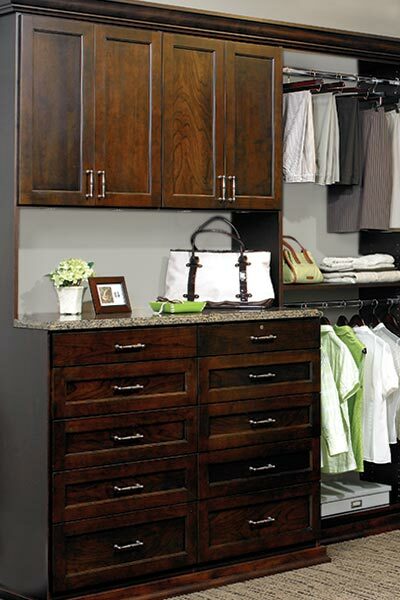 We specialize in custom closet design — Closet Works is your Chicago custom closet company for the city and suburbs. The richness of this closet system is evident in every part of the design. Rich, dark wood tones with an elegant grain pattern are complimented by the granite countertop in warm browns. 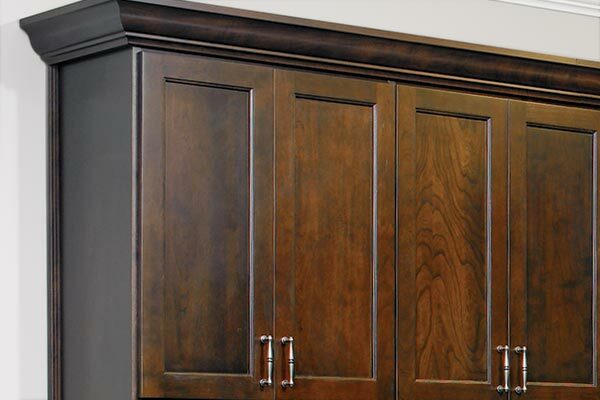 Crown moulding adds a polished look to the closet, and custom drawer inserts store small items with care — whether you are organizing your jewelry, socks, shirts or shoes, our custom closet solutions are designed to fit your needs. 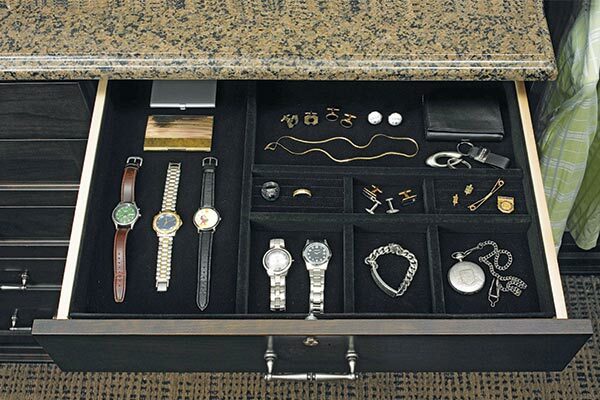 This closet features several closet accessories in the form of jewelry drawer inserts. Velvet liners cradle the precious pieces in safety. 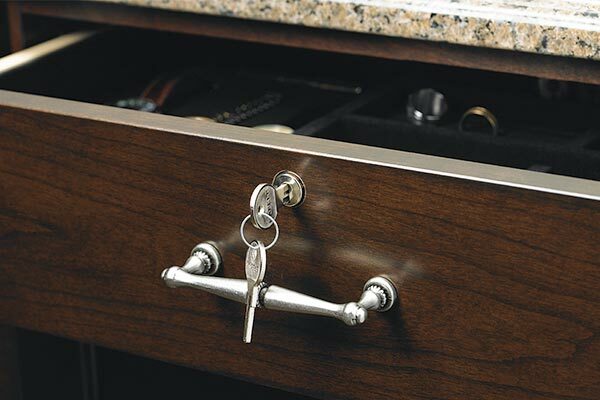 The addition of a drawer key lock keeps everything secure. 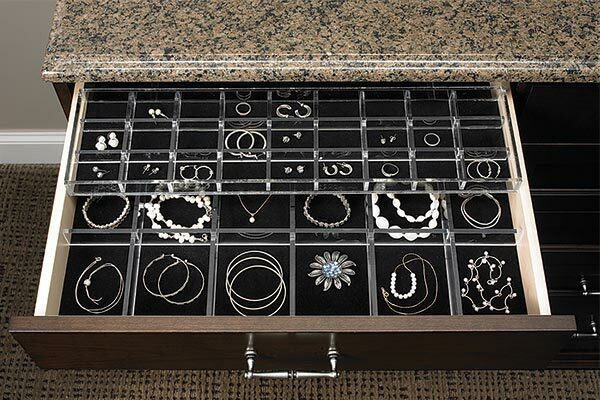 The more abundant costume jewelry is contained with a three-tier acrylic jewelry drawer insert that keeps it all organized and tangle free.